Why acts like these don’t cause outrage everywhere is interesting. Most people just shrug it off. Keep an eye out everywhere as you travel during this Thanksgiving holiday! 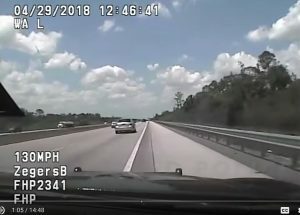 Here’s video of an armed government worker in Florida – Trooper Bryan Zegers – who crosses a median and doubles back at speeds over 140 MPH – weaving through traffic and driving on the shoulder – and then parks his now very hot car over very dry grass, causing it (and his car) to catch fire. Guess who got a ticket? The “speeder” the AGW was after. But he was only doing about 20 over the posted limit of 70. The AGW is seen on video traveling more than twice as fast as the legal limit and doing other things that would have put any of us behind bars. A psychiatrist is necessary here – to deconstruct the cognitive dissonance/doublethink or whatever the pathology is, properly speaking. We (that’s us, everyone who isn’t an armed government worker) are advised – warned – that to drive even a single MPH faster than any posted speed limit is by definition not only illegal “speeding” but also unsafe. It is both things but chiefly the latter thing – “unsafe” – which justifies the enforcement of these speed limits – meaning the imposition of fines and more serious sanctions, escalating as the degree of “speeding” increases. 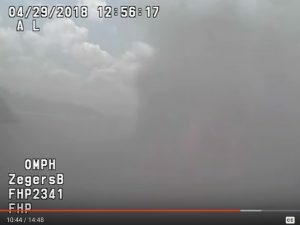 In every state in this country, a person caught driving 140-plus MPH (even if he did so safely, on an empty road, without traffic around and without weaving all over the road, as the AGW in this video did) would be arrested and taken to jail, probably dragged out of his vehicle at gunpoint. It would be a hullabaloo. Certainly, the offender would be pilloried by the media – and the court. There would be no defending the offender’s actions. First, this “colonel” (and “general” and “captain”) business. 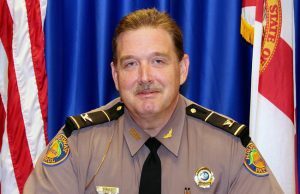 When did the Florida Highway Patrol – or any cop shop – become a division of the Marines? AGWs are civilians – just as we are. They have no more business awarding themselves badges of rank than we have. The German Sturmabteilung – the infamous SA – also awarded itself ranks. 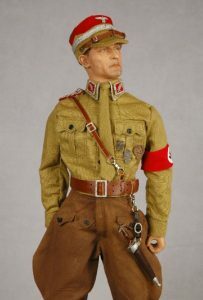 Hence “standartenfuhrer” – the SA (and later SS) “rank” equivalent to an actually commissioned colonel in the actual German military. The ranks and uniforms and badges – the “high and tight” shaved heads – along with the “training” given to these AGWs – induces a kind of psychosis in them, or attracts the already psychotic and provides for them a special, insulated reality in which they can pretend they really are commissioned officers fighting some kind of war. Which in truth they are. It is a war against us. The “hero” stuff that’s been going on since the reign of The Chimp has acted like a hypergolic fuel spill – confirming their delusional (and very dangerous) Breed Apart mindset, at least in their own minds. 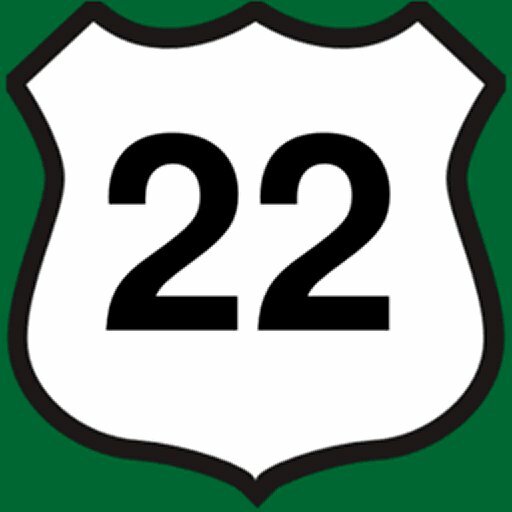 He states that it is “unsafe driving” for a civilian to do 90 or so (according to the reports) on a highway with a posted speed limit of 70. But it isn’t unsafe for a government worker (Herr Zegers) to do 140-plus in order to “quickly intercept” him. Apparently, AGWs are enveloped by a special aura of safety – which immunizes innocent bystanders from their speeding. “I got Glock ammunition everywhere! They must actually believe that. Have to believe that (enter cognitive dissonance/doublethink) else they might pop a rivet. Do you suppose Trooper Zegers would accept that as an excuse from a “civilian” he pulled over for driving 140-plus – or even 20 over?